- 5021XS = Key-in-Lever w/ Cylinder Included (Schlage "C" Keyway, Keyed Random). - Delivery: The Simplex 5000 Series Pushbutton Lock is In Stock and Available to Ship. 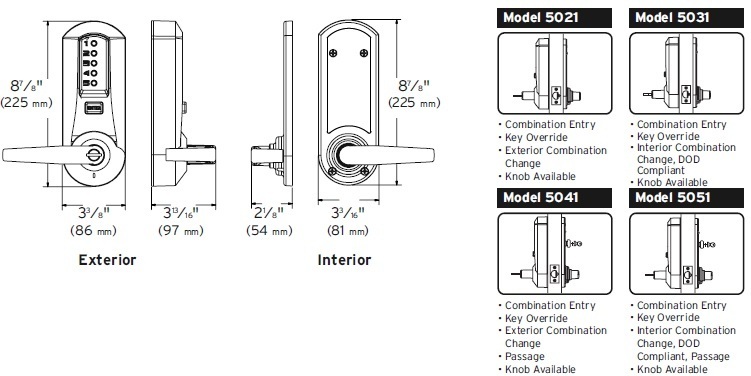 - 5021XS - Extra Heavy-Duty Combination Door Lock with Key Override: Comes with a standard (Non-IC Core) Schlage "SC1" Cylinder installed, Keyed Different (Random).